Katherine Hennessey is Assistant Dean for Curriculum and Assistant Professor of English at the American University of Kuwait. Her scholarship focuses on the performing arts in the Arabian Gulf, Yemen, and Ireland. She is the author of Shakespeare on the Arabian Peninsula (Palgrave 2018) and director of the short documentary Shakespeare in Yemen, which was screened in June 2018 at the Signature Theatre in New York City and at the 2018 MESA FilmFest. She is the recipient of a year-long NEH Fellowship for her next book project, entitled Theatre on the Arabian Peninsula (Routledge 2020). Margaret Litvin is associate professor of Arabic and Comparative Literature at Boston University. 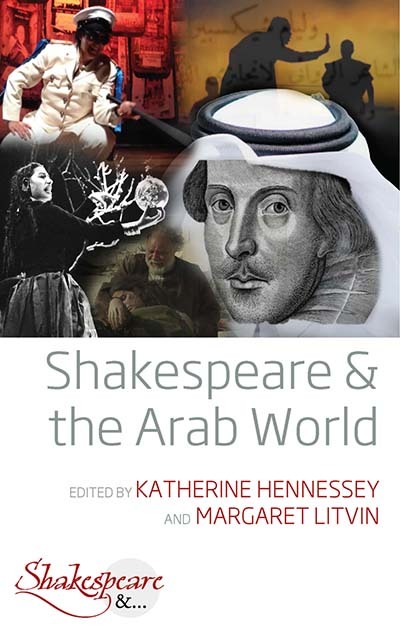 Her book Hamlet's Arab Journey: Shakespeare's Prince and Nasser's Ghost (Princeton UP, 2011), appeared in Soha Sebaie’s Arabic translation in 2017, and she co-edited and co-translated the companion anthology Four Arab Hamlet Plays (2016), one play from which was recently produced at Cornell University. Her current work explores two areas of transregional cultural flows: Arab-Russian literary ties, and contemporary Arab/ic theatre for global audiences. She has been an ACLS Burkhardt Fellow in Uppsala, Sweden, and an Alexander von Humboldt Fellow at the Forum Transregionale Studien in Berlin.